Houston! We have a new exhibit. With the 50th anniversary of NASA’s Apollo 8 mission approaching, the SE’s library will host an exhibit Nov. 26-Dec. 11. NASA’s Project Apollo exhibit will be loaned to SE from NASA’s Johnson Space Center located in Houston, said SE library services assistant director Tracey Minzenmayer. “At the request of our campus president, we are doing some space themed events the week after Thanksgiving at SE Campus,” Minzenmayer said. The exhibit is a part of that effort. 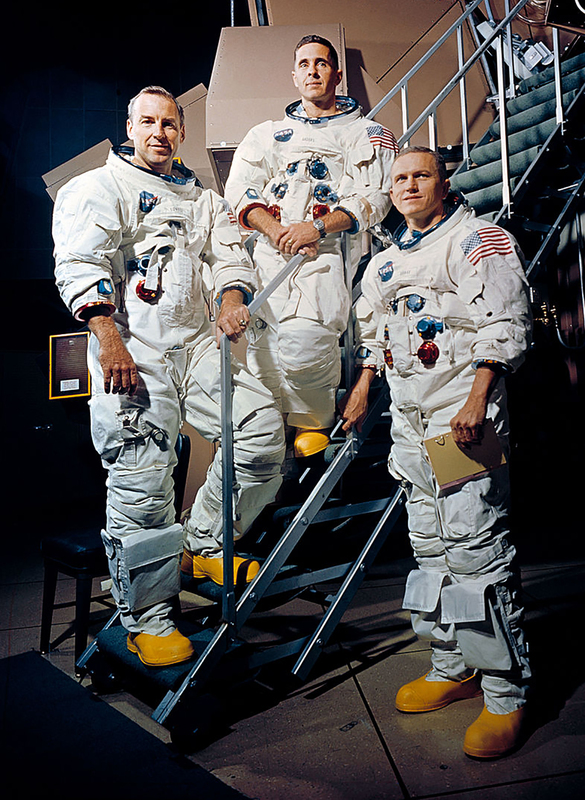 Apollo 8 was America’s second manned spaceflight mission that launched Dec. 21, 1968, and famously became the first manned spacecraft to reach Earth’s Moon, orbit it and safely return to Earth. Students, faculty, staff and community members can view Project Apollo during regular library hours in the SE Campus library (ESED 1200) Nov. 26-Dec. 11. The space themed events will also include The Human Challenges of Space Exploration. Charles W. Lloyd, associate director for strategic communications in the Human Research Program at Johnson Space Center, will discuss the health hazards astronauts encounter in space 12:30-1:50 p.m. in the North Ballroom on SE. SE speech instructor Stephen Brown will also present U.S. Presidential Rhetoric and the 1960s Space Race: Going Where No Man Has Gone Before 9:30-10:50 a.m. in ESED 1212 in the SE Campus library. He will discuss how politics influenced the space race. Planetarium shows will also be available to students Nov. 28 when the Fort Worth Museum of Science and History’s Mobile Noble Planetarium will be on campus 2-7 p.m. in the Judith J. Carrier Library. Shows are scheduled for 2 p.m., 2:40 p.m., 3:30 p.m., 4:10 p.m., 5 p.m., 5:40 p.m. and 6:30 p.m. The planetarium only holds 35 people per show. Author Robert Kurson will present Rocket Men: The Story of Apollo 8 12:30-1:50 p.m. Nov. 29 in the North Ballroom on SE where he will discuss his book and his experiences researching and interviewing the astronauts of the Apollo 8 mission. For more information on the events, contact Minzenmayer at tracey.minzenmayer@tccd.edu or 817-515-3388.